Welcome to the first ClassAction.org newsletter of 2018! It may still be January – cold weather and no more turkey – but there’s plenty happening – and, like always, we’re on top of it. From the iPhone “slow-down” suits filed just before the holidays to new investigations into exploding Pyrex glassware and stalling Chryslers, read on for news, settlements, and details on how you can get in touch and get involved. If you’ve used Superdeck protective coating – sold under the Sherwin-Williams and Duckback brand names – and had it crack, chip or peel away, attorneys working with ClassAction.org would like to hear from you. They’re looking into complaints from consumers that Superdeck can deteriorate within months of application, leaving stains, bubbling, cracks, blistering and other marks. This may be due to a design flaw, meaning it can occur even when the coating is properly applied, leaving the decking at risk of water seeping into and damaging the wood. 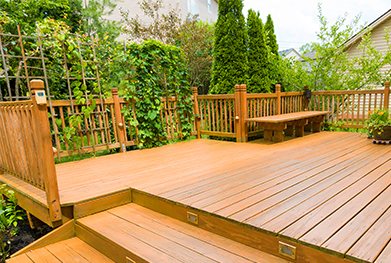 A lawsuit filed late last year accuses the Sherwin-Williams Company of selling defective coating and falsely marketing the products as having the ability to protect old decks when they're supposedly causing more harm than good. Attorneys are now investigating whether additional class action lawsuits can be filed to help homeowners seek compensation for the cost of repairing and replacing their decks. Learn more and get in touch with us by clicking here. A number of consumers have reported that Pyrex glassware – normally known for its durability – may shatter when exposed to sudden temperature changes – a potentially big problem for products designed to be used in ovens. Specifically, some users have reported that the dishes exploded and spread broken glass after being left to rest on countertops, or shattered while still inside the oven. Attorneys are now hoping to get in touch with anyone whose Pyrex dishes shattered while in use to see if a class action lawsuit is possible. It’s thought that the problem stems from the possible improper tempering of the material – soda lime silicate – used to manufacture the products. As is, soda lime silicate can only undergo a temperature change of 99 degrees – compared to the more expensive borosilicate glass’ 333-degree range. If this is true, then moving Pyrex from a 375-degree oven to a 70-degree countertop would pose a shatter risk, as the difference is well over 99 degrees. The jury’s still out on when the makers of Pyrex switched to the cheaper material – but if your Pyrex glassware exploded, now’s the time to speak up. Read more. Fiat Chrysler has been hit with a class action lawsuit alleging the company’s 2017-2018 Pacifica minivans stall or shut off with no warning due to a design flaw in the vehicles’ transmissions. The alleged defect apparently causes a total loss of power even when the car is traveling at high speeds, with drivers losing all steering ability and control over their speed. In January, the company chose to recall more than 150,000 2017 Pacifica minivans – a decision that followed consumer complaints and pressure from The Center for Auto Safety. The recall, however, doesn’t cover 2018 models, which attorneys suspect may also suffer similar issues. If successful, the lawsuit against Fiat Chrysler could require the automaker to contact owners and drivers of the affected minivans, repair the vehicles, and potentially stop selling the cars until proper warnings are made. If you’ve already been affected by the issue, learn more about the lawsuit here. Attorneys working with ClassAction.org have reason to believe that Air Canada is short-changing customers by including “refunded” taxes and fees in the credit the company gives to its customers. It is believed that under Air Canada’s own contracts, anyone who cancels a flight should be given the cost of the tickets as credit (minus any penalties) – but be reimbursed the taxes and fees to their original payment method, rather than have this money lumped in with their credit. This may not be what’s happening and could be especially problematic for fliers who never end up using their credit, thus forever losing money that should have been given back. Attorneys suspect Air Canada may realize that credit is often left unused, and that giving customers taxes and fees back as credit is more likely to benefit the company and leave customers out of pocket. Attorneys are looking for any Air Canada customers who canceled their flight and were given, but never used, their credit. You may be able to help get a class action lawsuit started to get your money back. Read more. Lawsuits are being filed claiming that IBM is cheating its sales representatives out of the full value of their commissions. According to the suits, IBM said these employees “could make as much money as they wanted” because their commissions would never be capped. Some sales reps claim, however, that they are making significantly less – in one man’s case, more than 50% less – than they should be on a given sale. If this sounds like something that happened to you, you’ll want to check this page out. SportDOG TEK: 10 Miles, 2 Miles, Who’s Counting? Allegations have surfaced that SportDog Tek 2.0 GPS dog collars don’t work as well as advertised. The tracking collars are supposed to give an accurate location from up to ten miles away – but their range may be more along the lines of 1.5 miles, attorneys suspect. Now, lawyers working with ClassAction.org are looking into whether a lawsuit can be filed and need to speak with hunters who bought the product and believe it didn’t live up to its advertised claims. If you had problems with your SportDOG Tek 2.0 dog collar, share your story here. What’s Up with the Slowed Down iPhone Lawsuits? The end of 2017 brought us one of the biggest and most controversial news stories of the year. Apple, always a divisive company, finally admitted to “slowing down” older models of iPhone in order, they said, to preserve battery life. The news was understandably met with a number of lawsuits aimed at the company – but how do you keep track? And how do you know if you’re covered, and what to do if you are? Fear not – we’re updating our site with everything you need to know, from how this all began to what steps you need to take. Check it out right here. The RealReal, Inc., a startup company that helps consumers buy and sell luxury goods on consignment, has been accused in a lawsuit filed in Michigan of exaggerating the weight of gemstones and selling them for far more than their actual value. According to the plaintiff, this is possible because consumers often have no way of gauging the weight of gems without expert valuation, and instead rely on the company’s information when buying luxury items. In one case, a diamond ring sold as 2.1 carats by RealReal was later examined and allegedly found to contain only 1.2 carats–a discrepancy large enough to affect its real value. The lawsuit hopes to recover the difference between the two values for all class members, and covers RealReal customers going back to December 2013. Read more.